Greybrook Realty Partners Inc. announced today the successful close of an equity investment by its managed issuer of $40,165,000 CAD to acquire and oversee the development of a prime parcel of land located in Fort Lauderdale, Florida. The Property is jointly owned with US developer Property Markets Group (PMG) and is expected to be developed into two multi-residential rental towers consisting of approximately 1,100 luxury units and 37,500 square feet of retail. Centrally located between Miami and Palm Beach, Fort Lauderdale is one of the largest cities in Florida. The city offers world-class education, easy access to domestic and international markets, a business-friendly government and attractive quality of life. With a number of large corporations relocating to the area in recent years, Fort Lauderdale has quietly transformed beyond tourism and established itself as a major employment destination and growing urban centre. Situated on the Las Olas Riverfront in the heart of downtown Fort Lauderdale, the development site is ideally positioned between the city’s art, entertainment and central business districts. The site’s premium location will offer future residents convenient access to first-class entertainment and cultural amenities, millions of square feet of office and retail space, and an increasing number of transportation options as major infrastructure projects such as All Aboard Florida and The Wave Streetcar reach completion. In addition to accessibility, the project’s amenity-rich offerings, cutting edge technology and attractive unit mix will appeal directly to the tailored lifestyle preferences and requirements of the area’s growing young professionals. “This transaction presents a rare investment opportunity to own an in-demand, core asset in a growing market like Fort Lauderdale. With robust job creation, and decreasing demand for home ownership, the result has been an increase in rental demand, making Fort Lauderdale an attractive location for investment in multifamily developments,” stated Peter Politis, CEO of Greybrook Realty Partners. “This project not only increases our investment holdings in the South Florida region, but also increases our exposure in the multifamily rental asset class, which is in line with our current investment strategy. With PMG’s expertise and track record of success, we are confident this project will not only fulfil a real demand in the rental segment but will redefine rental living in the area. 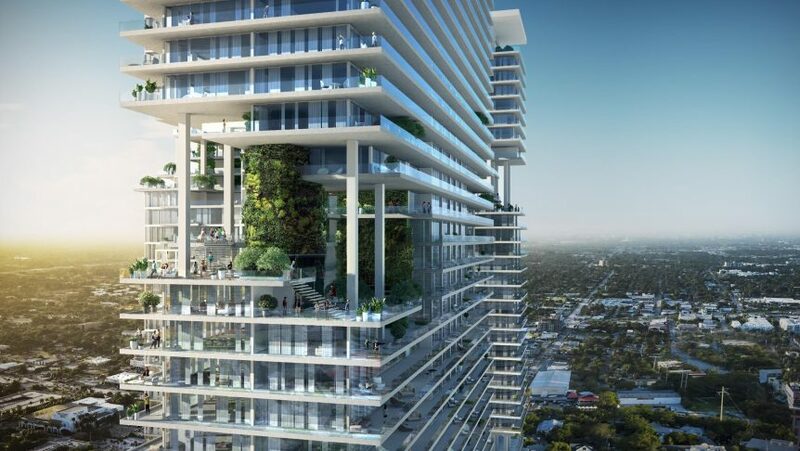 From unit size and layouts that are more favorable to the needs of renters to carefully curated amenities and services, this thoughtfully designed project is set to become Fort Lauderdale’s most coveted residence for millennials,” commented Mr. Politis. This development represents Greybrook Realty Partners’ second partnership with PMG.